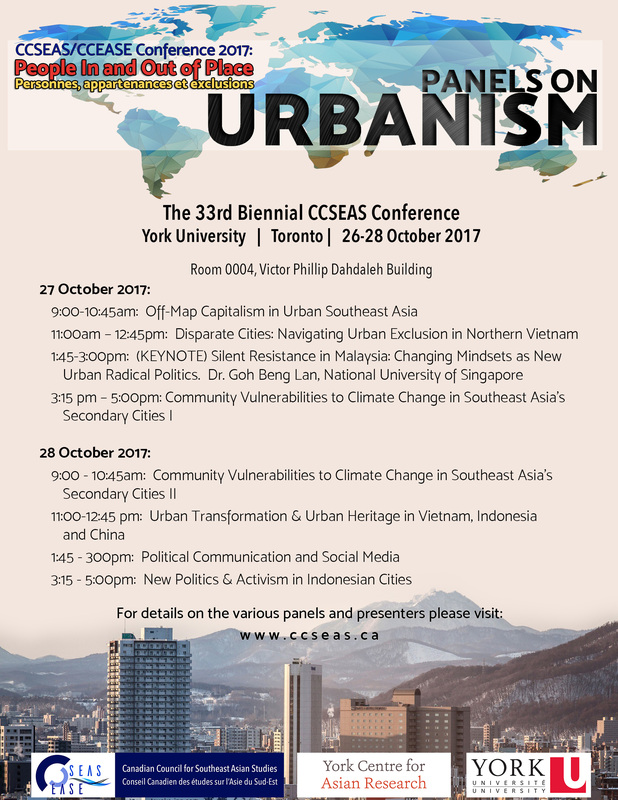 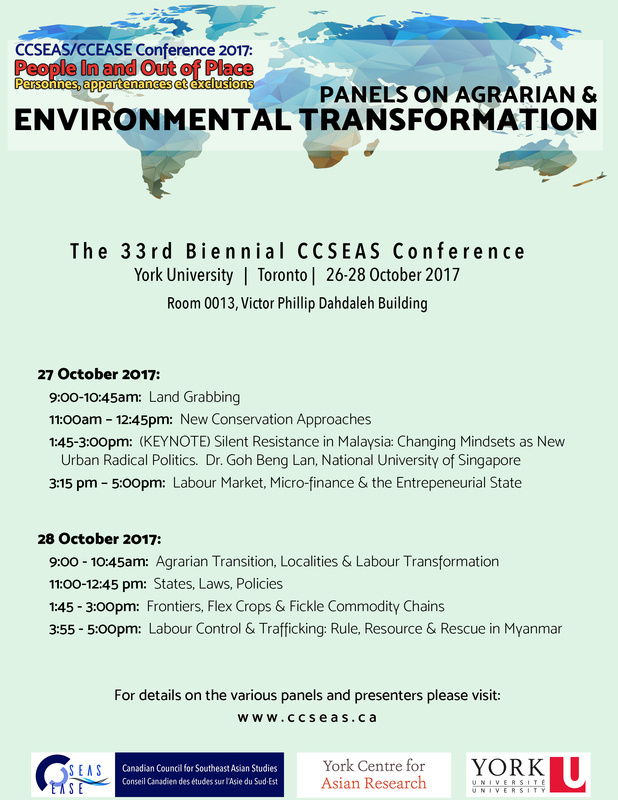 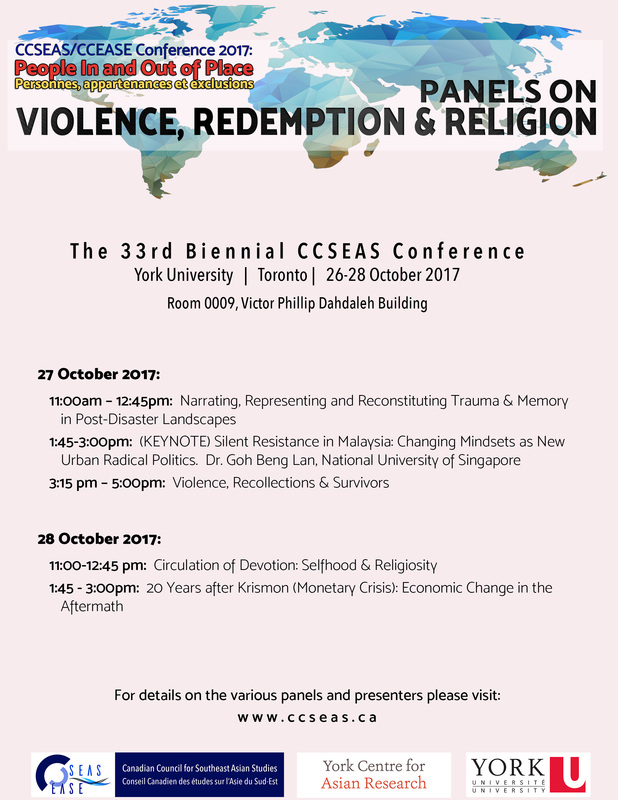 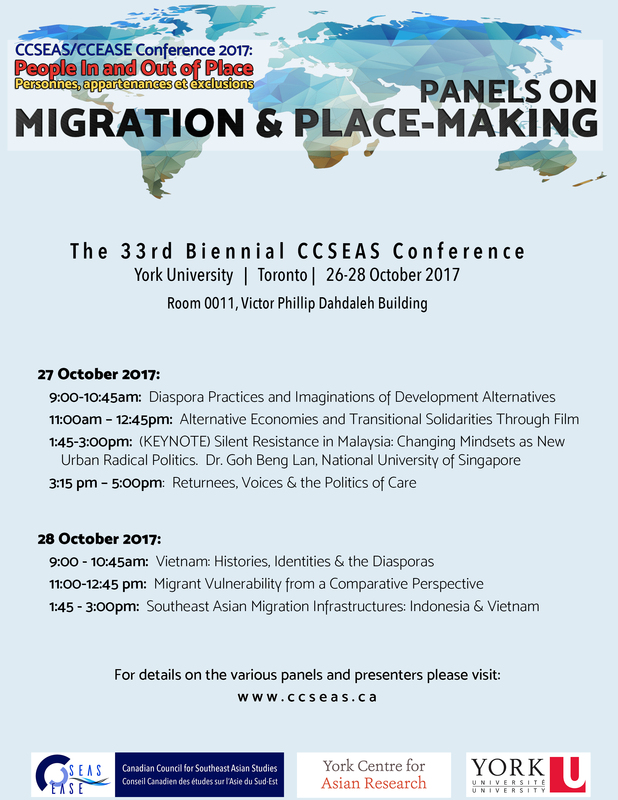 The CCSEAS Conference will be held at York University (Toronto) on 26-28 October 2017. 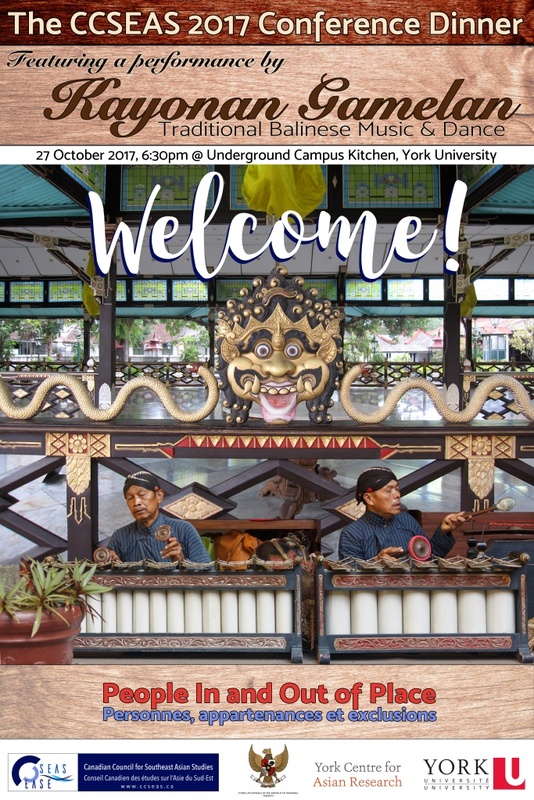 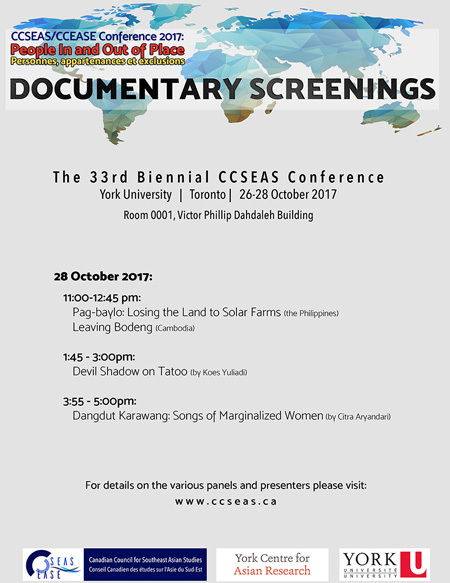 The 33rd Biennial Canadian Council for Southeast Asian Studies (CCSEAS) conference theme, “People In and Out of Place,” represents a long standing and yet often forgotten dynamic of a region known as the crossroads of different peoples, histories, cultures, and politics. 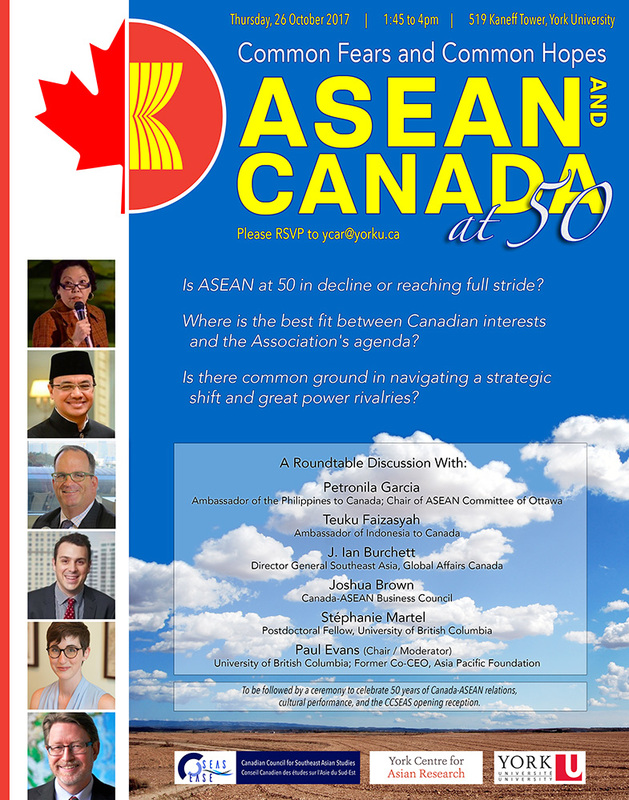 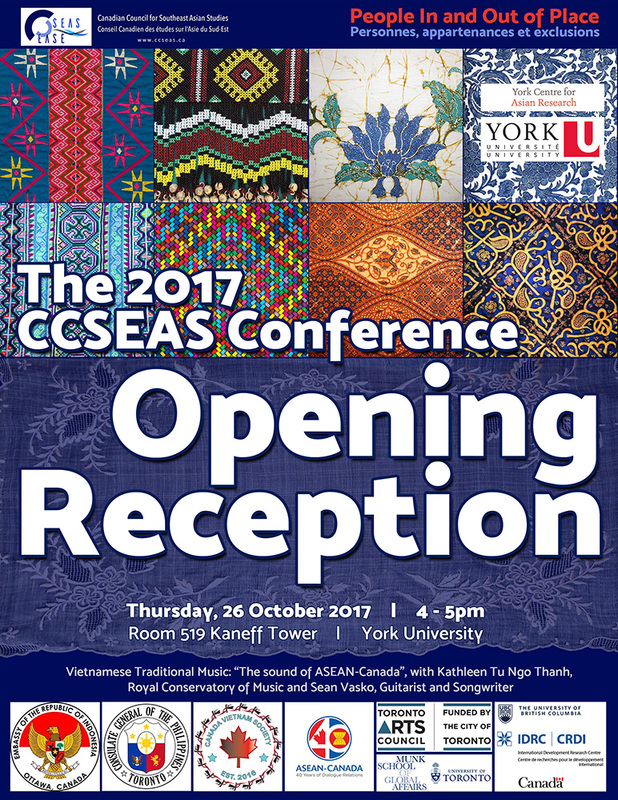 All conference participants and round table delegates are warmly invited to attend the 2017 CCSEAS Conference Welcome Reception on 26 October 2017 at 4 to 5 PM in Room 519 Kaneff Tower, following the “Canada-ASEAN at 50” round table discussion. 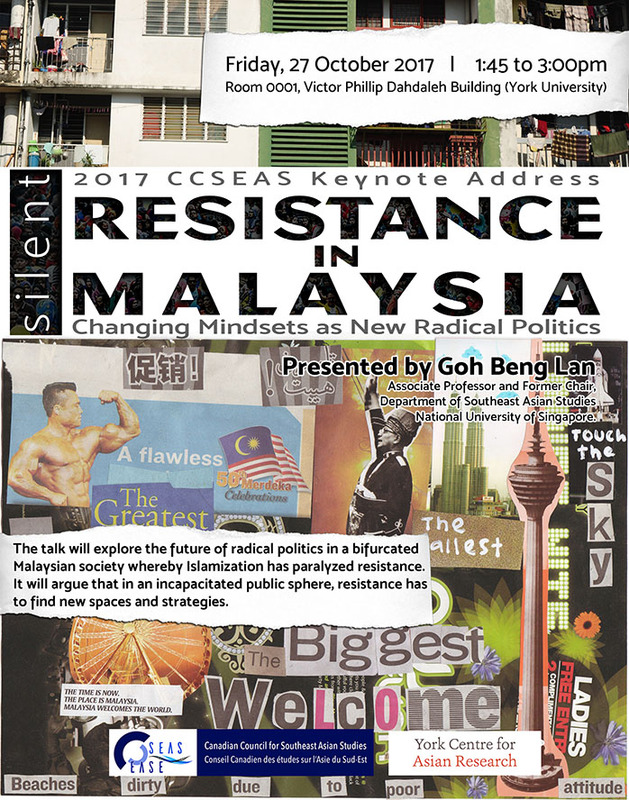 Read the conference program (PDF). 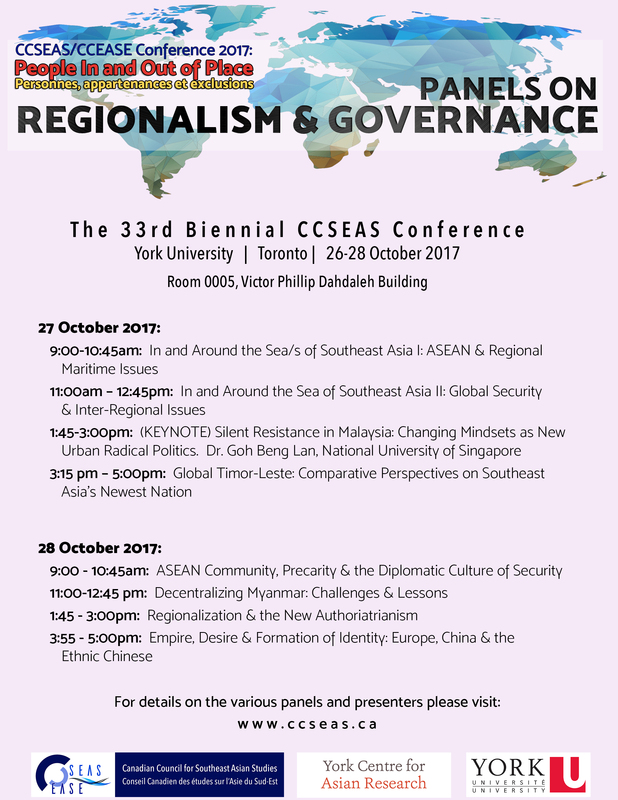 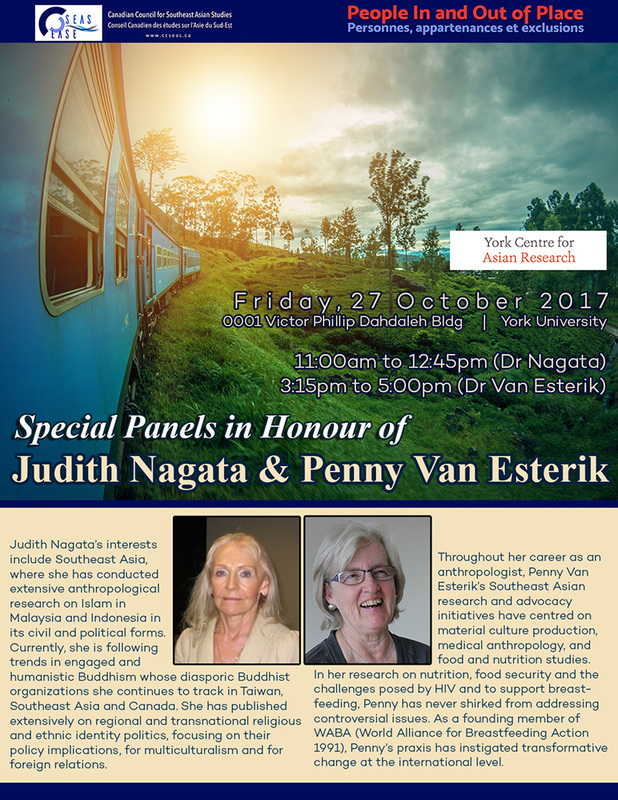 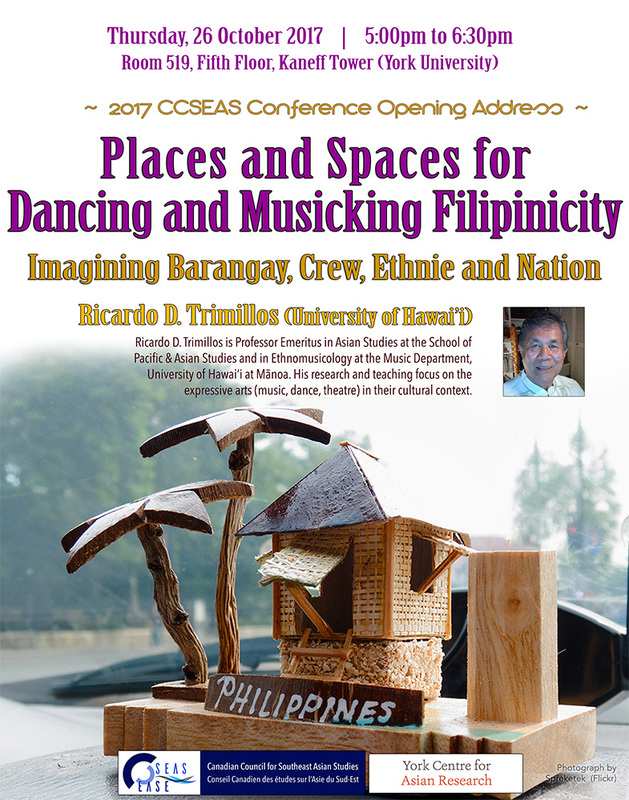 The 2017 Fall Edition of the Canadian Council for Southeast Asian Studies (CCSEAS) Newsletter is now available.